Maximum performance, power, and capacity is available with this Meyer MEY63790 Gas Drive Spreader. Carry up to 4860 lbs. of salt, sand, or a salt/sand mix in the 48.6 cu ft. hopper. Cover areas quickly or blast packed ice with a 3-30 ft. spreading width. Clumps are no match for the Drop N Loc top screen that reduces damage to the drag chain and assure smooth material flow. 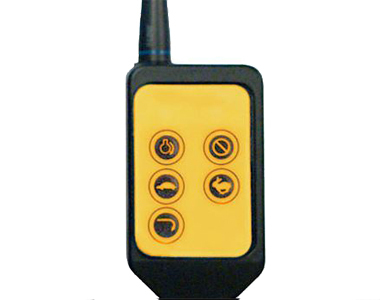 And, control this spreader from within your vehicle with the wireless controls that include engine choke, and drive system. 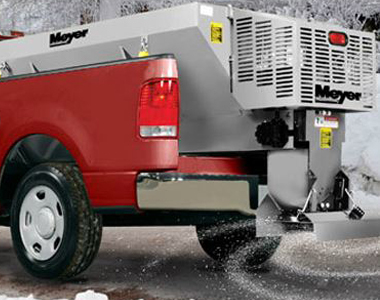 Hopper Capacity: Fill up less with this 48.6 cu ft. spreader that can hold up to 4860 lbs. Briggs & Stratton Motor: Break up the toughest clumps with the 10.5 HP Briggs & Stratton motor. Vehicle Applications: Attach this spreader to a 3/4- 1 ton Trucks that are 2-3 GVW Class. Max Throwing Distance (ft) 3-30 ft. 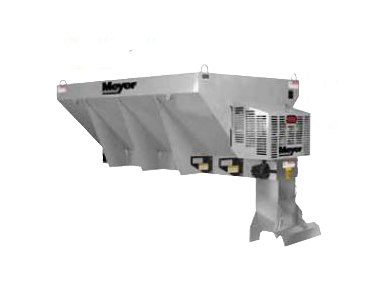 Ask us about the Meyer PV-Briggs & Stratton Gas Drive Insert Hopper Salt Spreader. Please no repair questions. Your Q&A may be posted to SnowblowersAtJacks.com to help other shoppers, like you, with their purchasing decisions. Thank you.